It’s been one of the world’s most popular cars in its class and now the sixth generation Volkswagen Polo looks set to continue the model’s success story. Indeed, this will be the largest Polo the firm has made which is around 94 mm longer than the model it replaces to help boost the car’s comfortable ride. There’s is also more space on board for passengers and the boot has grown by 25% to 351 litres. The Polo also comes with more technology including blindspot detection, air conditioning and LED headlights; the car now resembles the larger Golf sibling in more ways than one. The excellent Volkswagen Polo also has the firm’s debut for its active info display so the digital instrumentation will impress. 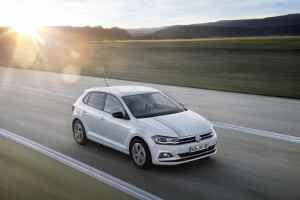 On top of this, the Polo retains its charismatic design with a stylish, some would say muscular, front end. As usual with VW, the Polo has a wide range of trims and lifestyle packages so it’s easy to personalise the impressive small car. On top of this, the Polo has a choice of 14 body colours and 13 colours for the dashboard so the buyer has almost limitless possibilities for colour schemes. One of the most unusual aspects for the VW Polo is that, for the first time, buyers can opt for an engine powered by natural gas. The power outputs for the engines range from 65 PS to 200 PS with the natural gas engine producing 90 PS. There’s no doubt with the firm selling more than 14 million units, the Polo is one of the world’s most popular compact cars and this new six generation Polo is likely to sell well. While competition in the segment has undoubtedly got tougher in recent years with some excellent offerings, the VW Polo still offers a class leading ride and comfort levels which are hard to beat. It’s also got an excellent reputation for reliability and for the money, the car offers an excellent package. The new Volkswagen Polo goes on sale from October with prices that could start at around £11,300 for the entry level model. This entry was posted in Car Leasing, Cars, New Cars, Small Car and tagged lease a vw polo by Steve Lumley. Bookmark the permalink.